Please do accept my sincere apology for what have happened. I know how frustrating it is on waiting for something that was not delivered. We have doubled check our system, and found out that it was shipped since September 5th, however, it did not give us any other information on the whereabouts of your shipment, and for this one, we cannot guarantee if it will still be delivered or not. Here is what we can do, we can process a reshipment of your items and will have it delivered as fast as we can or we can have it refunded since we are unable to have the items delivered in the promised time. We will be awaiting with your response. and that's how they save some time. I bought an item from Dude Gadgets which I never received and when I contacted them they told me that I would have to track the item down thru customs and if there was a fee to release it they would split it with me. When I said that it was not up to me to track it and I wanted a refund if they could not get me the item they offered me a coupon to buy something else from them. I have been going rounds with this company trying to get a refund on an item that did not work for me, the ipocket. It was too slender when fit in between the seat for the car and the console. They made me take a photo/video of the item and I have had to email back and forth for over a week plus and they refuse to refund me. They have offered store credit which I refuse due to their horrible business habits then offer a 10% credit on top. I just want my money back. Beware doing business with them. On January 7th of this year, I placed an order with the company for 4 items. Today is March 3rd. To date, I have only received 2 of my items. I have gone back and forth with the representatives listed above and have been given every story and excuse. They have even lied to me saying that one of the products I did not receive was in the package with one I did receive which was not the case. When I found out that these items that I ordered were coming from and shipped from China, I knew I got taken. Two of the items are advertised on television or were advertised here in the U.S. As far as I am concerned because they did not inform me that they were not shipping out of the U.S. that they are hiding what they are doing. I am the customer and no matter what "the customer is always right!!! ".No ifs and or buts. They send material recklessly without requiring a signature and package poorly. They even went as far to tell me to get in touch with customs. If I would have known they shipping from another country I would have never ordered. I bought the child safety vest because I thought it looked cool in the pictures but I was shocked when it arrived. I came from China in a plastic bag; it didn't even come in a box. There were no labels or tags of any kind and not instruction pamphlet. One of the straps broke right away when I tried to attach it to my seat and it is very obviously cheaply made. There are no safety approvals that come with the product. When I enquired about a few things, my emails were responded to very slowly and didn't actually answer my questions or address from my concerns. Please do not order the child safety vest! It is a cheaply made product and not safe for children! Message: I returned items to china at my own expense but they won't refund my money. Cant seem to get in touch with anyone...expensive lesson!! Message: They sent me a poorly packed item that was damaged. They will only refund my money if I ship it back to CHINA at MY cost of $51.95. This is NOT stated on their website. NOTE: the company is Dudes Gadget (dudesgadget.com), but is evidently the same as this. Something is sketchy here. Plus google image search shows that they are using fake photos for the customer service profiles and even the president of the company. Message: No they are not. Message: THEY ARE SISTER COMPANIES...BEWARE THEY'RE BOTH SCAMMERS....JUST GOODLE DUDES GADGET REVIEWS AND DUDES GADGETS REVIEWS YOU WILL SEE THEY ARE THE SAME !!!!! Message: Wish I had read this information before purchasing -- I bought 2 items about $40 each -- neither one worked and I'm trying to get a refund. I think this will be a write off and will post on FB not to buy from these folks. Message: I was afraid it happened to me too - it all had very suspicious signs - provided tracking link didnt work. When i asked the support, they gave me a screenshot of tracking status without any useful identification. After 3w after another inquiry i got a response that they have some production issues so that shipping is delayed (which is B.S. since they already claim it was shipped weeks ago). I was on the brink of claiming the card charge when it suddenly arrived - after 4w (to Europe). What a relief. Message: They sell Cheap Chinese knock off junk! The fingerlings they sell don't even look like the real ones!! SCAMMERS!!!!!! 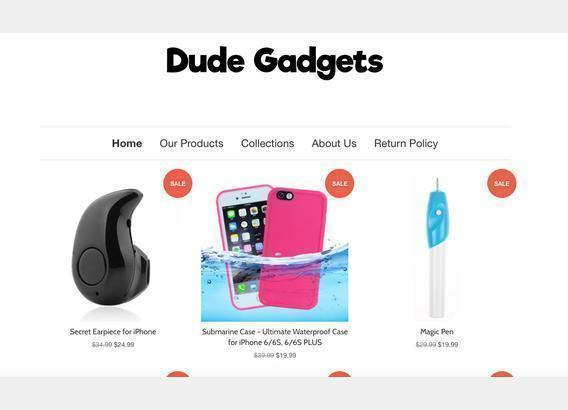 Message: Are Dudes Gadget (dudesgadget.com) and Dude Gadgets (dudegadget.com) the same companies? Message: contact police, file report! Message: Did you received it? Message: The business has official delivery term in their website. If you got it past the term - file report, and complain to the police. Message: I´m Journalist. How can we do it? I bought a bag and they don´t answer. Their Facebook and Instagram are out of air. Message: I opened an investigation at Federal Trade Comission. Message: Ray Lincoln is the president of Dude Gadgets and sadly Amazon sells their products. I have tried to find a way to message him, but I haven't found a way yet. He has no FB page that I could find. I don't know how he lives with himself as a complete greedy man who does not care about the paying customers. Message: how can we catch these people ? any contact anything ? Message: from which one did you buy? Message: somebody MUST file a police report on illegal conduct. IF the company registered in the US, the complaint must happen towards US police. Message: I received 3 maps from Dude Gadget shipped from China. They came dented and damaged. I sent them photos, upon request, of the damaged maps. In order to receive a refund, I have to send the damaged maps back to China and I have to pay for shipping. This means I actually pay to return items I received already damaged and will never own (because they are no longer available for purchase). Worst customer service. Horrible business practices. Message: Ordered Backpack from Dudesgadget.com which turns out to a copycat website for reputable company Dudegadgets.com. Backpack arrived after 8 weeks but bore no resemblance to the item on the website, cheap and nasty Chinese fake/copy. Complained Via email and was told to send item back to address in China! at my expense for a refund minus delivery costs! Refused and have submitted a dispute and escalated to a claim for refund to Paypal, so far Dudesgadget haven’t responded, don’t expect they will. If you paid via Paypal do the same. Message: Please take a note: problably you all are cheated by a copycat site called: www.dudesgadgets.com With a -S- behind -dude- This is NOT the same company as Dude Gadgets! I have also ordered two backsacks but I have never received them. Go to your bank or creditcard company and explain you're a victim of fraud. Maybe the creditcard company will pay you back. Message: hi, Marcel! AFAIK, this is a "petty" crime issue. In order to kick in the authorities an authoritative claim/complaint must be filed in your local police. There are several forms online for USA citizens, you can find links to them at the official police website (there is something related to "cyber crime") this kind of fraud, IMHO is a fraud, so it's there. I live in Israel, so I must 1st complain to the credit card company first. They fully refund the deal, and represent you against the business in question. Unfortunately, for me as non US citizen - there is no way to open a criminal complaint against such business. I just cancel the deal and get the money back. I won't get compensated any more than this. For a strange reason, this year the laws of cancelling the deals have been made more complex for the cancelling party :) It's as if the law wants to let the cheaters play along, since they are paying a commission of these frauds to the Credit Card companies, and only a fraction of cheated people actually complain. So it's a loophole, IMHO, until a big fat representative precedent case comes up. Message: I'm now seeing all of this now that I just got scammed. I bought from dudesgadget.com straight from a link on fb. don't know if it's the same as dudegadgets.com either. The guy emailed me back when I asked where my backpack is and what the tracking number was. He told me that it was out of stock and they just received another shipment so my order would be going out the following day. Emailed him twice after that for a tracking number or refund but no reply. It's been a month. Message: Also, on FBI website they also have something related to cyber crimes and reporting. BTW, last time I checked the DOMAIN was registered until Oct 10 2017, so website is supposed to go down soon too. But for Credit company it's not a problem, b/c they don't care about the site: they use a POS terminal ID and POS user details, and it is directly linked to bank account used for the payment. Since you cannot immediately terminate such POS account, even if these guys wanna disappear - they had to use some real identities to register one. So, if really many people start complaining in mass - they will at least get some banking hardship. 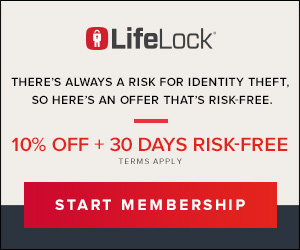 Unless they have opened POS on dead/fake person's identity, which is also theoretically possible. BTW, this kind of crime is something I suspect is running well since the start of internet shops. As long as the fraudster is "modest" - payment of several tens of USD won't make FBI investigation. It means their income is ~2-3 hundreds of K$, which is considered small cache. And they had to register at shopify, and credit card, and pos, etc. there is a papertrail.